Geelong Bank is a provider of credit cards, home loans, personal loans, bank accounts, term deposits, superannuation, home insurance, car insurance, travel insurance, and business banking products. If you’re considering getting an Geelong Bank credit card, check out what’s available below in our comparison table for a monthly spend of $2,000. 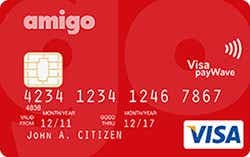 There is just one type of credit card available from Geelong Bank at the time of writing: the Geelong Bank Amigo Low Interest Rate credit card. 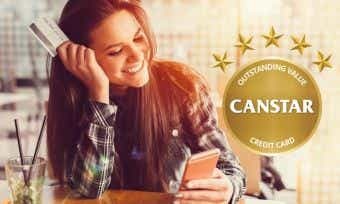 If you meet the above criteria, you can compare Geelong Bank credit cards on the Canstar website and apply on the Geelong Bank website for the card of your choice. You can also apply by calling them on 1300 377 800. You can also choose to have an additional cardholder attached to your credit card without charge, as long as they too are over 18 years old. How do I activate my Geelong Bank credit card? Once you’ve received your card, you will need to activate it before you are able to use it for making purchases. To activate your Geelong Bank credit card, login to your internet banking account (you will need to register an account) and select the ‘card activation’ option from the menu. Alternatively, call the Amigo card support line on 1300 377 800. Can I manage my Geelong Bank credit card online? You can manage your Geelong Bank Credit Union credit card using the mobile banking app or online banking. You can use Geelong Bank’s mobile banking app or online banking to view your recent transaction history, view your balance, set up alerts for when deposits are made, and more. How is interest calculated on my Geelong Bank credit card? Interest is charged on purchases when you carry a balance on your Geelong Bank credit card. Interest is charged on cash advances from the date of withdrawal. Interest will accrue daily on the any unpaid daily balance of your credit card account at the annual percentage rate. This interest will then be debited monthly on the 25th day of each month. Up to 55 interest-free days apply to any Geelong Bank credit card purchases if you have paid the balance in full for the previous month’s statement and for the current month’s statement. For more information about interest-free days, check out our article on how they work. What will my credit limit be on my Geelong Bank credit card? Your credit limit for the Geelong Bank Amigo credit card will be determined based on the information you provide in your application, keeping in mind the minimum and maximum credit limits available (see above). Find out more about how credit limits are determined here. You can apply to Geelong Bank to increase or decrease your credit limit, and they can approve or reject your request at their discretion based on their lending criteria. Geelong Bank can also reduce your credit limit without your consent as long as they provide you with adequate notice. You must pay any amount owing in excess of the credit limit immediately if your credit limit is decreased. How do I close my Geelong Bank credit card account? You may cancel your Geelong Bank credit card at any time by phoning them on 1300 377 800 or writing to them, requesting that the card account be closed and that you revoke your authority over the card. Once cancelled, you must cut the card in half or provide evidence to Geelong Bank that it has been destroyed. If you are cancelling because of financial problems, contact the Geelong Bank Financial hardship team to discuss your options. Geelong Bank (previously known as FCCS Credit Union) was established in 1974 by a group of Ford Motor employees in Geelong to provide financial services to Geelong Ford employees only. But like many companies with humble beginnings, it has since grown and prospered to become a company with a much wider membership base spread across Australia. Geelong Bank is a proud member of the Customer Owned Banking Association (COBA), the national body for customer-owned banking institutions in Australia. Geelong Bank is a credit union that is mutually owned by its members. Anyone from the general public can join as a member of Geelong Bank by purchasing a share valued at $10, which is fully refundable should you close your membership with the Credit Union.